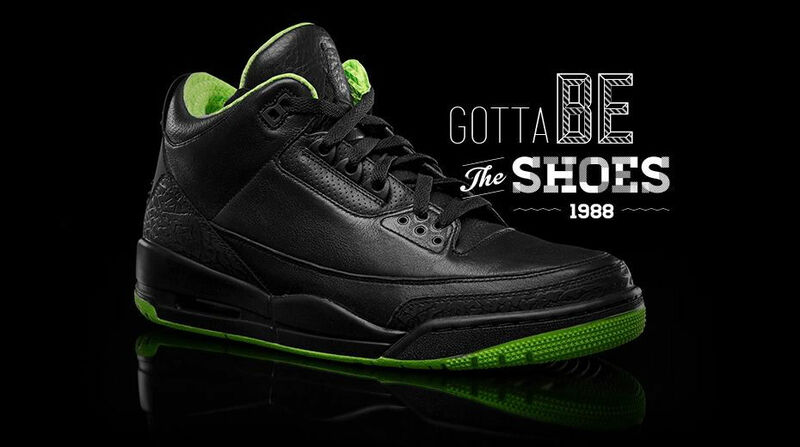 Day three of the Jordan Brand's XX8 Days of Flight countdown brings us to the Air Jordan III, one of the most popular models in the iconic series. Introduced in 1988 and co-pitched by Spike Lee as Mars Blackmon, the III was MJ's weapon of choice in one of the more memorable seasons of his legendary career. Slam Dunk Champion, All-Star Game MVP, Scoring Title, Defensive Player of the Year and his first ever NBA MVP. Not a bad year at the office. With the Air Jordan III, Tinker Hatfield and Michael redefined the concept of signature shoes by adding elephant print and visible Air. According to stories that have made rounds, the III was the shoe that kept MJ happy with the direction of his signature line and away from exploring other brand options. Quality notch on the belt of this classic. Below is a look at the "XX8 Days of Flight" version of the III, featuring premium black tumbled leather with tonal elephant print rands and contrasting neon hits on the inner lining and outsole. Would you line up for this colorway? 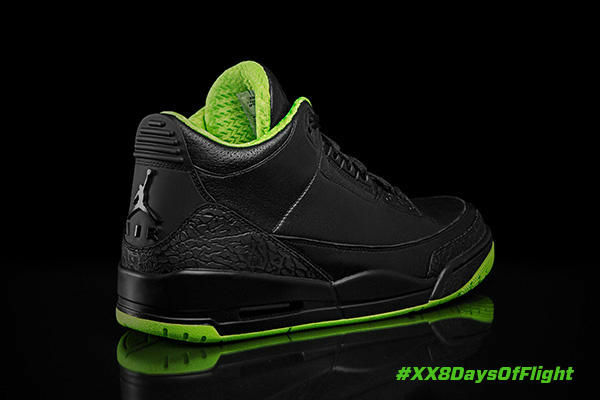 Continue to follow the XX8 Days of Flight here at Sole Collector, ajxx8.com and @Jumpman23 on Twitter.